Ben gearing up for some toes to bar. 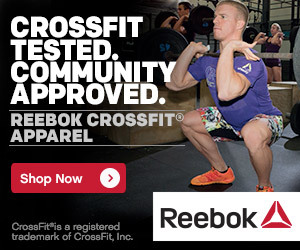 Welcome to the big show….. it was recently announced that Reebok is the title sponsor of the CrossFit Games (July 29-31, 2011). A $1 millon purse is committed to the CrossFit Games season, including a top prize of $250,000 for the top Man and Woman. The Games are held at the Home Depot Center in Carson, CA. Look for tickets to go on sale Feb. 1. If you can swing it, GO!! You will not regret it.